He plays the guitar without fingertips. In 1965, Tony Iommi cut off the tips of his right middle and ring fingers in an industrial accident. His hand was caught in one of the pressing machines, and the incident indirectly created heavy metal. The factory’s manager came to Iommi’s home to try to console him and brought along a Django Reinhardt record. He explained that Reinhardt had a disability that allowed the use of only two fingers (skip to 4:37 in the linked video). Inspired, Iommi spent weeks making artificial fingertips out of melted plastic bottles and strips of leather, allowing him to play the guitar despite his mutilated fingers. He’d tune his guitar a semitone down to alleviate pressure on the strings and ease playability. As a result, the chords and notes would sound heavier behind the distorted amplification and create a thicker tone. This effect is credited to Iommi and is now a standard for heavy metal guitarists. In 1971, he took this technique to an extreme by tuning his guitar three semitones down for the Sweet Leaf riff. One could hear how large and unapologetic a single guitar could be when Black Sabbath debuted in 1970. Iommi isn’t the greatest guitar player by any means, nor is he the flashiest or the most flamboyant of performers. In most concert footage, Iommi doesn’t move around much, juxtaposed with those who’d play the guitar with their teeth (skip to 1:38) or destroy a drum set with cherry bombs (skip to 7:43). Because of his finger disability, he developed his trademark style of relying on melodic rhythms and heavy guitar riffs to carry a song’s structure. Iommi created awe-inspiring guitar riffs such as in Paranoid, N.I.B and Iron Man out of necessity and that alone solidifies his status in history. The audiences in Sabbath’s earlier days were unresponsive to the music. 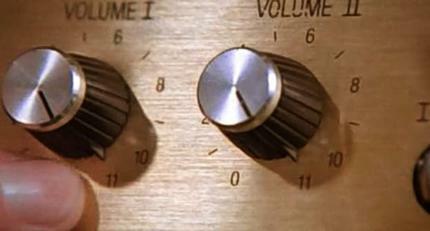 The amplifiers would have to be set to eleven and the riffs would have to be loud so that the crowd would pay attention. Complex changes or demanding movements were too complicated and physically straining for Iommi. Instead of playing simple chords and writing dull pop songs, he conceived the heavy guitar parts to influence every metal or hard rock band that followed. No exception. Apart from admiring Tony Iommi’s innovation and perseverance, it comforts the fanboy inside of me that my favorite drummer, John Bonham from Led Zeppelin, and my favorite guitarist, Iommi, were close friends. They met during the seventies in the prime of their respective bands. Bonham was known to have had a gargantuan personality. He had thrown Ringo Starr in a pool and gotten arrested in Paris with Peter Sellers. To know that John Bonham was Tony Iommi’s best man brings a smile to my face. Iommi & Bonham knew each other since the mid 1960s – they were both from the Birmingham area of England. Bonham was best man for Iommi’s wedding. Bonham threw George Harrison in the pool, along with Harrison’s wife or gf at the time & Bonham threw everyone else at the party into the pool as well. Bonham & family were on vacation in the South of France with Ringo Starr & family. Starr, Bonham, Peter Sellers & Richard Harris were all arrested for a food fight in a restaurant. Bonham started the food fight.